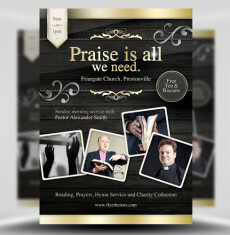 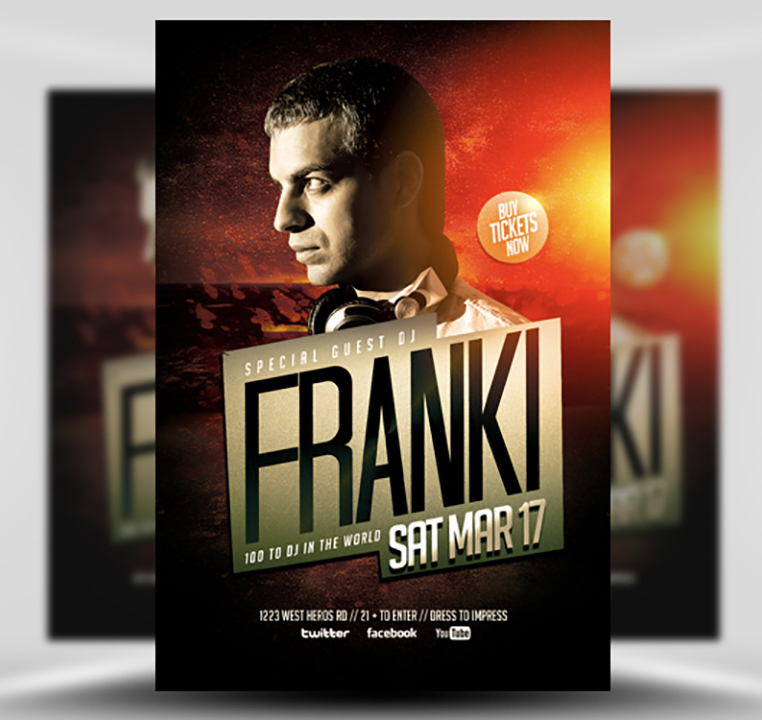 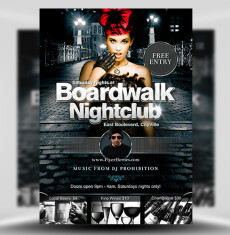 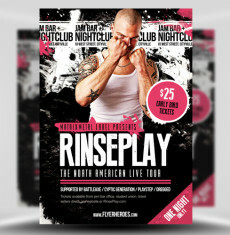 DJ Franki Flyer Template is a simple and effective flyer template design for DJs. 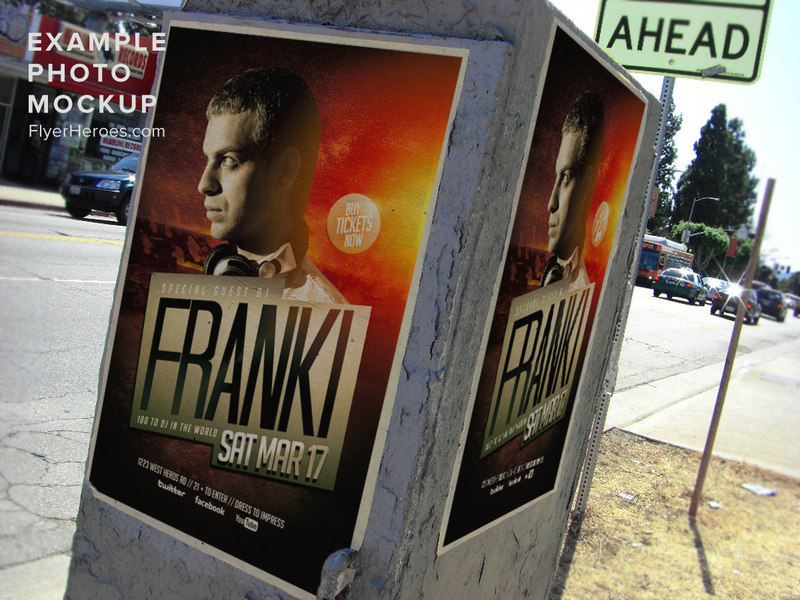 The main title text layer is made up of just one layer, making it exceptionally easy to edit with your own name. 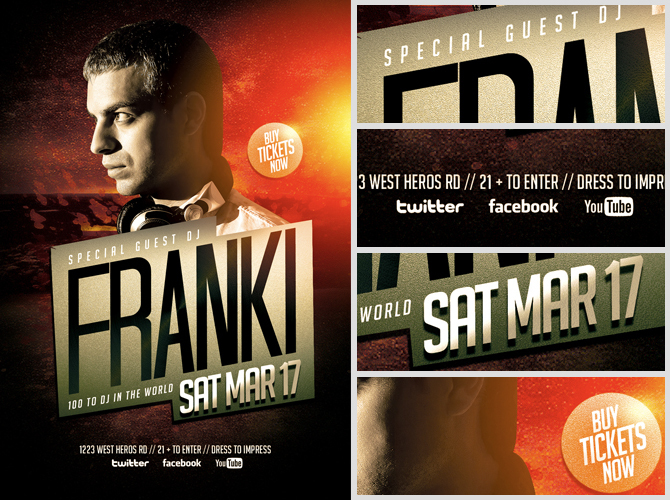 The dark background of the flyer with colourful light leak style overlay creates a nightclub style atmosphere right on the page. 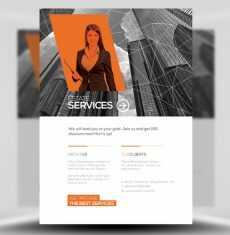 Simply drop in a photo of you or your client and this design is ready to go! 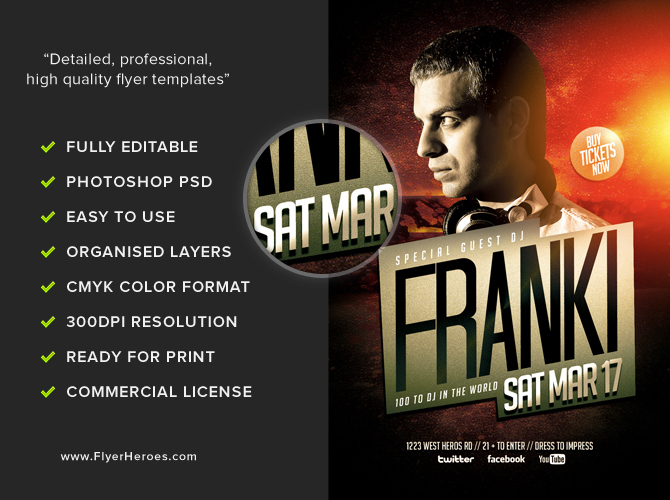 DJ Franki Flyer Template is a premium Photoshop PSD flyer / poster template designed by FlyerHeroes to be used with Photoshop CS4 and higher.